In this modern era, millions of businesses are using eCommerce. To start an online presence, all you need is a platform like MagePlus which will help you to launch your eCommerce website in just one day. And that is where MagePlus comes into the picture. 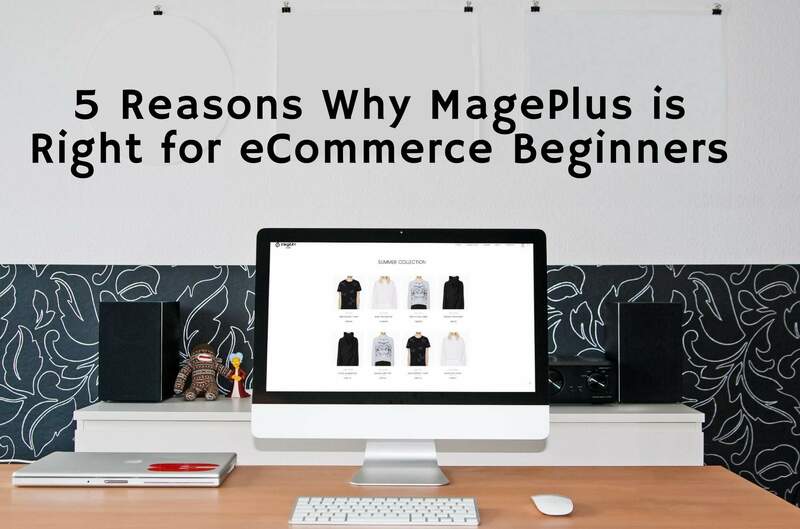 Let’s look at the features of MagePlus and why MagePlus is the best option for your eCommerce store. MagePlus is a platform that allows you to set up your Magento online store to sell your products in just one day. With MagePlus, you don’t have to worry about how to create a website to start an eCommerce business. Because MagePlus makes it very easy for you. 5 reasons why MagePlus is the best option! MagePlus is a Magento hosted solution which will provide all the features of Magento and Aspiration Hosting for you. But to understand what that means, first, we have to know the difference between a hosted and self-hosted solutions. In self-hosted solutions, you have to install and configure your site by yourself. You have to select, configure and manage your hosting and security. You need to be a technical expert. It is very time consuming and energy draining. And that is why we came up with the concept of a Magento hosted solutions. With hosted solutions like MagePlus, you don’t have to worry about managing the server, uptime, knowing how to configure the settings yourself, domain name servers, etc.. All the technical aspects are managed by Aspiration Hosting. Also, with MagePlus, you can launch your site in just one day. Therefore instead of spending time on figuring out how to configure the site, you can use that time for building your business. When any user visits your website for the first time, the first thing they will notice is the look and feel of the site. Definitely, the first impression will give you a lasting impression. Therefore, MagePlus you can choose from more than one hundred themes to ensure that your site is getting the best look and feel. More themes will be added weekly. There are thousands of extensions available in the Magento marketplace, which will make makes it easy to add feature at a low cost. With the Standard and Advanced plans, you get FTP access to the code. As a result, your programmer can make the site function any way you want. If you don’t have a programmer, we can help you find one. A key reason why MagePlus offers unlimited growth. Our techs are online all the time in order to give you the best support. You can contact us at any time with live chat and tickets. So, why are you waiting? Start your eCommerce website in just one day with MagePlus. Got questions, start a chat with us now!